There are generally two types of people I get to know through this blog. On one hand there are those who talk about doing the right thing and what should be done and on the other are those who actually get out there are do it. To my shame I fit mainly into the first category, which is partly why I admire those who are on the ground making a difference so much. Robin Peake firmly fits this mould. Robin works for Innovista, a Christian charity that exists to identify and develop young leaders to take the hope of Jesus to those around them. In 2010 he moved to Barton in Oxford, one of the most deprived housing estates in the country to set up a church. Through their work many people’s lives on the estate have been impacted and Robin has written about some of these experiences here on this site in March. He has also recently launched his own blog, Seeking the Welfare, writing on issues of social justice. Today’s post is taken from his latest blog entry. You can also follow Robin on Twitter. Tonight I’m going to a meeting of volunteers who want to set up a Credit Union facility on our estate. It’s the next step towards making the services of the Credit Union more accessible to those in our community. Eight weeks ago the Archbishop of Canterbury laid down a challenge to his churches to open up their buildings and offer their congregations’ expertise to run Credit Unions as alternatives to payday lenders. So I phoned the local vicar proposing that we do just that. Since then she’s got the support of her Bishop, a local councillor has pledged funding and a few weeks ago we hosted a meeting for those who might be interested in making it happen, hoping that a handful of people would come. Some of them are interested in operating a Credit Union in other parts of the city, some are interested in saving with the Credit Union, and half of us are interested in volunteering to bring a branch of the local Credit Union onto the estate where I live. In 2008/9, the payday lending industry was worth £900 million. Three years later it more than doubled to £2.2 billion. And this number will have gone up even more since, with Wonga alone reporting £1.2 billion of loans in the past 12 months, an increase of 68% on their previous year. As living costs continue to increase at a higher rate than wages do, more and more people are turning to payday loan companies for small loans that can easily escalate into big problems. They’re quick and easy. But they’re punishingly expensive. Provident, the doorstep lenders who operate on my estate will charge me £40 on a £100 loan over 14 weeks. Meanwhile a £100 loan from Wonga will cost me £37.15 to pay back over 30 days. But a £100 loan from the Credit Union for a month will cost me just £2 to pay back. But for people where I live, it’s two buses to get to the Credit Union, only open during weekdays. Whereas Wonga can get me the money in 15 minutes and the Provident lady knocks on the door. There needs to be a better alternative. Over the last 20 months or so, my wife and I have been haphazard payday lenders. It started when a couple from the estate, friends of ours, had mismanaged their money over Christmas and needed some help in the short term. So we lent them some money which they paid back and we put it into a jam jar. We’ve lent to others too out of that jam jar. A mum who wanted to borrow a tenner to get her son a birthday present. A family whose income suddenly went down when their adult son had his Jobseekers cut. And a young mum who needed some money for a police check before she could start her new job. We’ve probably had people borrow money from us on about 20 different occasions, all folks who we know. But there’s lots of people living on our estate who we don’t know. And I’m hoping that the Credit Union will be able to help them. Do you live in Oxford? Get in touch with me to see how you can get involved. Live elsewhere? You can do this in your community too. The Credit Union I belong to saved me from debt and got me through a horrendous financial situation. You can set up Standing Orders to have a little savings put in every month, you can also make arrangements with local businesses/councils to be used as payment points in various facilities so you do not have to go to the Credit Union to pay in and you even have a card with a set amount on it from you account/share. 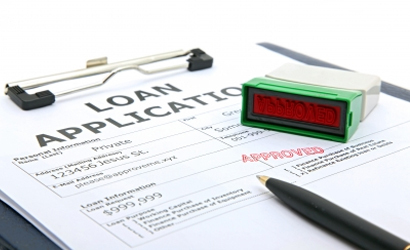 And do not forget that part of a Credit Union loan repayment goes into your account so you gain from the loan.